Good morning! It’s going to be an overcast day in New York. Here’s the tech news that you need to know today. 1. 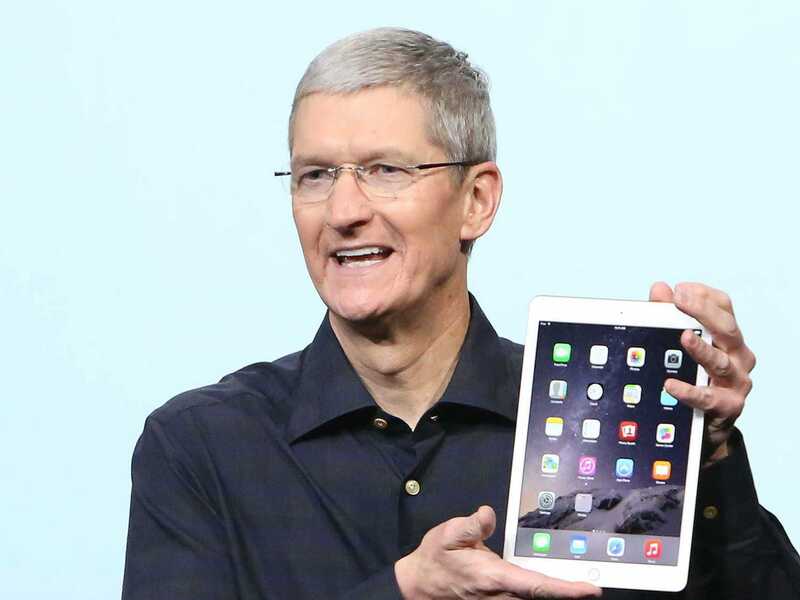 Apple is reportedly planning a 12-inch “iPad Pro.” Apparently it’s going to be thinner than the iPhone 6 Plus. 2. A Facebook experiment could have affected turnout in the 2012 election. The site experimented with the News Feeds of nearly 2 million users in the months before the election. 3. Apple’s former sapphire supplier has blamed Apple for causing it to go bankrupt. GT Advanced Technologies is in the middle of filing for bankruptcy. 4. Amazon CEO Jeff Bezos has been declared the best-performing CEO in the world. The Motley Fool says it’s down to his ability to create value. 5. JP Morgan discovered that it had been hacked after someone breached the website for its corporate race event. The same servers used to hack the “Corporate Challenge” site also targeted the payments system. 6. Amazon has released its diversity report. 75% of its managers are male. 7. HP has revealed its new smartwatch produced with Michael Bastion. It will go on sale for $US349 on Nov. 7. 8. One of the Pirate Bay’s co-founders has been sentenced to three and a half years in prison for computer hacking. The prosecutor called it Denmark’s biggest ever hacking case. 9. IBM announced Friday that it has made a deal with Chinese internet service provider Tencent. It will bring new cloud services to the country. 10. Microsoft has reportedly fired its global advertising sales team. Sources told us that the internal announcement was on Wednesday.